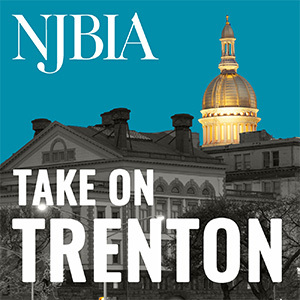 NJBIA > Testimony > Assembly Bill 1007 (Jasey, Tucker) – Requires insurers to provide coverage for medications and dose-intensive chemotherapy/bone marrow transplants and umbilical cord blood transplants for treatment of sickle cell anemia. Assembly Bill 1007 (Jasey, Tucker) – Requires insurers to provide coverage for medications and dose-intensive chemotherapy/bone marrow transplants and umbilical cord blood transplants for treatment of sickle cell anemia. On behalf of our 20,000 members, the New Jersey Business & Industry Association (NJBIA), respectfully OPPOSES Assembly Bill 1007 (Jasey, Tucker). This bill requires insurers to provide coverage for medications and dose-intensive chemotherapy/bone marrow transplants and umbilical cord blood transplants for treatment of sickle cell anemia. NJBIA is concerned that this measure has not been reviewed by the Mandated Health Benefits Advisory Commission prior to being heard in committee. To create an objective assessment of the impact this health insurance coverage mandate could have on the cost of purchasing healthcare benefits, the Commission is charged with providing the Legislature with independent documentation defining the social and financial impact and medical effectiveness of proposed mandated health benefits legislation. The Association places a strong and consistent focus on the quality and affordability of health insurance in New Jersey. The cost of providing health coverage to employees is one of the most significant challenges facing employers today. It is consistently ranked the number one concern facing our members in our annual NJBIA Business Outlook Survey. The role of the Commission is particularly important considering that employers continue to cope with rising costs for healthcare coverage. In 2016, the cost of health insurance premiums reached $7,151 for single HMO coverage and $18,754 for family coverage in the Northeast, according to the Kaiser/HRET Survey of Employer-Sponsored Health Benefits. The national average for all plans is $6,435 for single coverage and $18,142 for family coverage. According to the 2016 NJBIA Health Benefits Survey, the average premium paid in New Jersey for single employee coverage is $7,044 and $17,580 for family coverage. With the cost of health coverage steadily climbing and coverage continually eroding, it is crucial that the impact of all coverage mandates be carefully evaluated. It is unclear what impact this mandate would have on the cost of health insurance. For these reasons, we respectfully ask that this legislation be evaluated by the Mandated Health Benefits Advisory Commission. Thank you for your consideration of our comments.